Activist of the PDP Bridamlik Isroiljon Kholdorov is a brave man who had suffered various difficulties and vagaries of fortune prior to joining our party. In 2006, he was imprisoned at slanderous accusations under Articles of 159, 244, 216 and 223 of the Criminal Code of the Republic of Uzbekistan and was sent to prison colony No 29. In 6 years, Isroiljon was transferred to colony 49 to serve the remaining term of imprisonment. Having spent three years there, he was sent back to colony 29. According to Isroiljon, such things, i.e., repeated returning of a prisoner to the prison colony where he had previously been had been used only in relation to Isroiljon Kholdorov. The said Colony 29 is also conditionally called “Operative zone.” Almost 90 of the prisoners there work for the operative officers and therefore they are called “informers” or “goats.” Agitating the prisoners against each other, making them “inform” and betray others, the prison officers turn the prisoners into moral morons. It is not without reason Isroiljon recalls these “affairs” at the prison. In his free life, they are using the same methods against the former prisoner. For instance, the officials used different “plays” against Isroiljon before the Congress of the Birdamlik PDP of Uzbekistan. 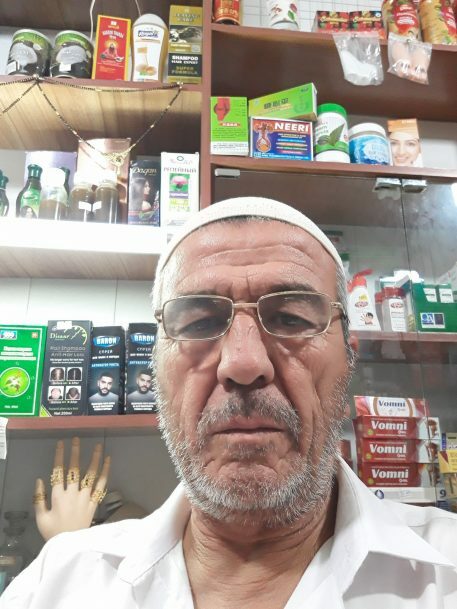 20 days before the Congress, a criminal case investigator Abdulla from Qurgontepa district of Andijan region called him and asked to meet at the gates of the trading centre “Kholis” in Yangibozor. The investigator told Isroiljon that a phone call had been made from his Samsung J5 mobile phone to some telephone number, and the owner lady of that phone had been found dead. When Isroiljon told the investigator that he had not given his phone to anybody, the investigator showed him surnames of two people. The investigator took the phone and entered the Samsung shop in “Kholis” centre. Isroiljon informed the Chairman of the Ezgulik Human Rights organisation A. Tashanov and others about what was happening. In exactly 2 hours, the investigator came out of the trading centre and told Isroiljon not to leave the town to anywhere and left. According to Isroiljon, after this event he did not use his Samsung J5 phone at all and downloaded everything to his Artel phone. At about 12 noon on the 12 of November 2018, somebody called Isroil from a hidden number and told him in cursing intonation: “Go and see how your nephew is doing, now it is your son Alisher’s turn.” Isroiljon asked him to be a man and tell him who he was. But the other side shut off the phone. On that day, the officials took Shahriyor, son of Isroil’s brother Anvar Usmonov, to Hoqon police point and the area inspector Lochinbek and district SIA investigator and Operative officer of DPA Temur interrogated him under pressure and threats. A law enforcement authorities officer Donyor gave him ungrounded silly questions like “Where is your uncle now? Do you know why he had been put in jail? Why don’t you know?” and got him sick and tired. During this time, the officers of DIA went to the working office of Alisher and checked his telephone (+998902547919). This inspection showed that the telephone contained a file “Lovers of paradise. A young man who made Abdulla domla cry” sent by a community shop seller. And they took Shahriyor to the district office of DPA in Kuyganyor and kept him for 24 hours there. In the morning of the 13 of November, Isroiljon and his other nephew Daniel Usmonov (tel: +998975835023) managed to take Shahriyor from the DPA temporary arrest cell. According to Isroiljon Kholdorov, 5 people from Andijan wanted to attend the Birdamlik Congress. On the 13 of November Bobojon Musajonov and Husniddin Abdullaev told Isroiljon that they had serious reasons not to go to the Congress. While on the 14 of November, some officers of the DPA took Patidin Karimov’s passport for the need of inspection. Due to different types of pressure, Isroiljon also decided to give up the idea of attending the Congress. Thus, the activists of Birdamlik PDP were deprived of the opportunity to go to the Second Congress of Birdamlik due to deliberate methods. However, Isroiljon Kholdorov confirms the victory of the Birdamlik PDP and its founder and leader Bakhodir Khan Turkiston over the Uzbek government, and current government really fears Birdamlik. He congratulates the party with the victory.